Brachyglottis monroi is a native to New Zealand. It occurs naturally in mountain to subalpine scrublands and rocky places in Marlborough and North Canterbury. 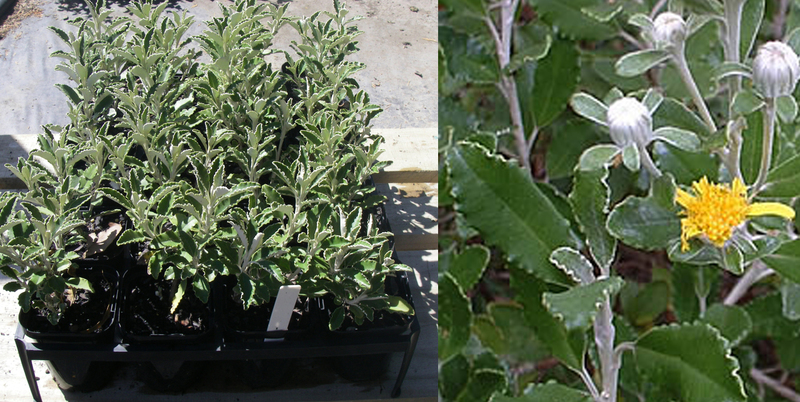 It is a small, hardy, evergreen low spreading shrub growing to 1 m with oblong, wavy-edged olive green, leathery leaves up to 5cm in length with white tomentum below. 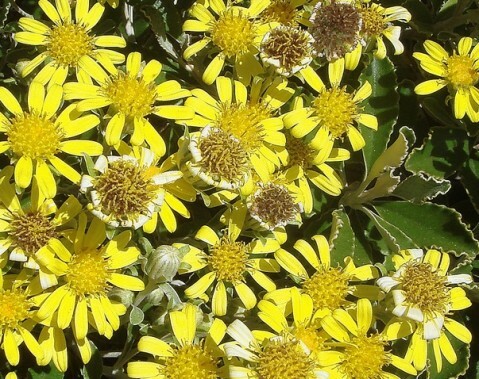 Bright 2cm wide yellow daisy-like flowers in terminal corymbs appear in summer. These flowers are hermaphrodites (has both male and female organs) and they are pollinated by insects. It is related to Brachyglottis compacta.